let’s have a look here at some witty design work from israeli design group umamy. they create functional products for the home that are stylish and intelligent too. 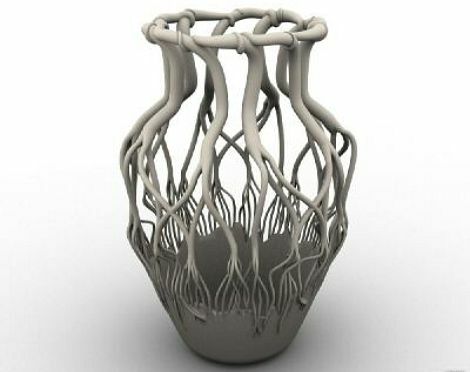 i am fairly certain you have seen these, the wonderful limited edition kisos 3-d vase and the till we meet again chair, but have you seen some of their other items? 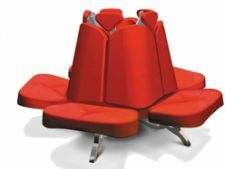 they’re trying to make the world a better place, and i think they’re succeeding – one unconventional design at a time. see more wonders on their website. Looks like a fun place to work! (the design group). 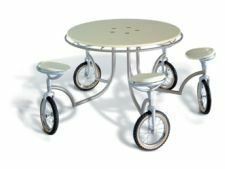 Love the wheeled lunch table. they’re doing great things over there, aren’t they? that “fast food” table is for people on the go! it’s fresh and clever and i love the still life fruit bowl that actually hangs up on a wall (photo underneath the animal wall hooks)! These people are fabulous! The fast food table is my favourite. i quite agree – isn’t that table awesome?